Can Dental Implants Really Improve And Repair Your Smile? Do you have missing or damaged teeth? If so, dental implants offer a wonderful alternative to help restore both your self-esteem and the natural appearance of your smile. To experience the kind of stunning look, feel, and function of dental implants for yourself, we encourage you to give Mavis Dental Centre & Dentistry In The Village a try. Alternatively, if you are looking for more information about dental implants, you have come to the right place. Our Dental Implant InfoSite was specially designed to help patients just like you learn all you need to know to feel confident in choosing dental implants. The Mississauga, ON area has many dental service providers offering discount deals on dental implants. Unfortunately, many of these bargains are too good to be true. But we want our patients to know that dental implants are absolutely the real deal in tooth replacement options. In the last couple of decades, dental implants have surpassed expectations to become the standard of care in tooth replacement procedures. Getting started is easy, so there is no need to hesitate. The placement process couldn’t be simpler as patients undergo a few simple steps right here in our state-of-the-art offices. If you have been wondering if dental implants are the right tooth replacement option for your needs and budget, then look no further than Mavis Dental Centre. 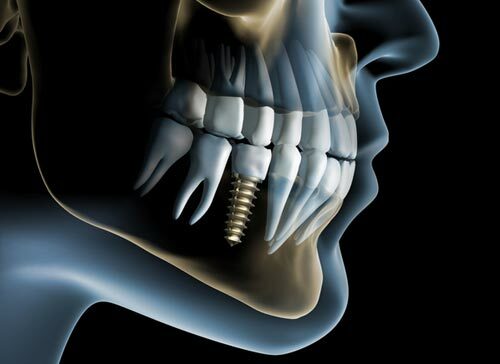 Still have more questions about the dental implant placement process or your payment options? Please feel free to review the remainder of our specially created Dental Implants Infosite or call one of our knowledgeable staff members for more information. We also serve patients in the Mississauga, ON area, so call us today to get started on getting your beautiful dental implants from Dr. Michael Luciani or Dr. Amanika Luciani.